My five year old loves cinnamon rolls and asks me to make them for her at least once a week. We don't indulge that often but I try to at least every month or two. I love to bake with her but it feels like I'm always out of time for a long recipe. My new favorite way to make cinnamon rolls in the bread machine. It doesn't take a fancy machine or any tricks (I have a cheap old one I got for a dollar at the thrift store. Classy. Still dreaming of one of these some day, though!) I still love my favorite recipe from the Bread Baker's Apprentice but I haven't had anyone notice the difference. All you have to do is toss the ingredients into the machine, run the dough cycle, and roll out the rolls as soon as it beeps. My go to roll recipe is from Salad in a Jar. She has the best bread recipes. I've adapted this one to be dairy free when I make them for my husband. The recipe is flexible and comes out great even with almond milk and oil instead of the dairy. Don't get me wrong, my KitchenAid is still my favorite and I look forward to hanging out with her but when there's just no time, the bread machine is a viable option for quick and delicious cinnamon rolls with less hands-on time. Add all ingredients to the bread machine in the order listed. Run the dough cycle and come back after dough is risen. Roll out dough on floured surface into a large rectangle. Top with butter, brown sugar, cinnamon. Roll into a log and slice into inch thick rolls. Line up on baking sheet and let rise until puffy and doubled. Bake at 350 for 20-30 minutes until golden brown and beautiful. 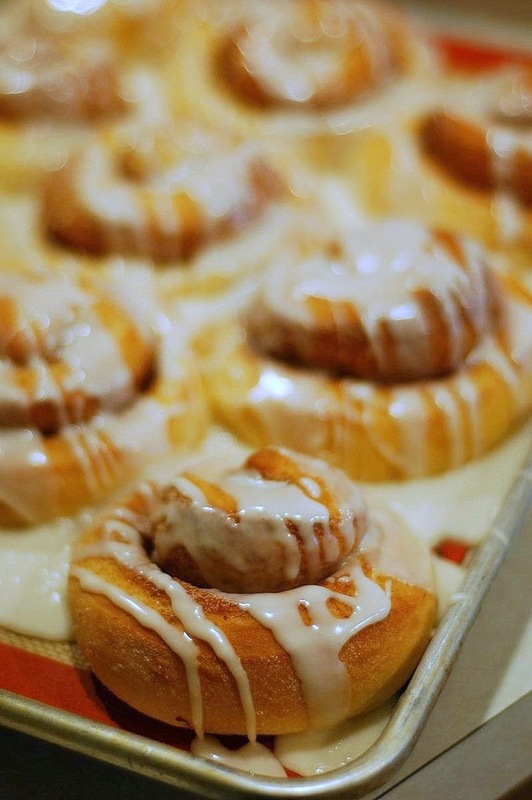 Top with your favorite frosting- this is mine. My husband prefers a simple powdered sugar and milk glaze.